Car chase: GAZ and Ural. ProwlerX wrote Car chase: GAZ and Ural. The movie has outstanding main, jazzy-gangster music theme. 130rapid wrote The movie has outstanding main, jazzy-gangster music theme. 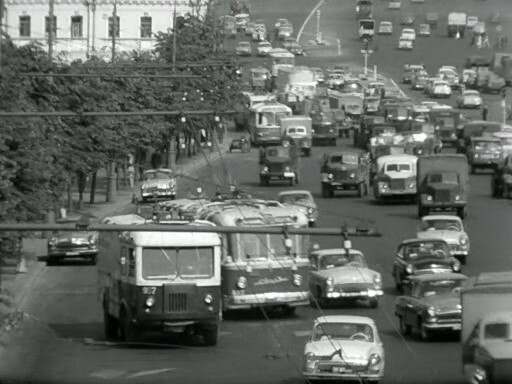 What is the name of two-сolor van which left of SVARZ? @moskvichok: Demiter correctly identified it above as SVARZ TG: Link to "files.rajmmodel.webnode.cz"
chris40 wrote @moskvichok: Demiter correctly identified it above as SVARZ TG: Link to "files.rajmmodel.webnode.cz"